Dry cuticles are a common problem that can take your nails from nice to nasty in a matter of days. When your cuticles are dry the nail area hardens and splits, forming unsightly and often painful hangnails. So what causes dry cuticles? Seasonal changes, moisture-sapping activity like frequent water use and a failure to take care to treat the area can all cause your cuticles to dry. Whether you simply push them back or opt to remove them, keeping your cuticles in check is important. 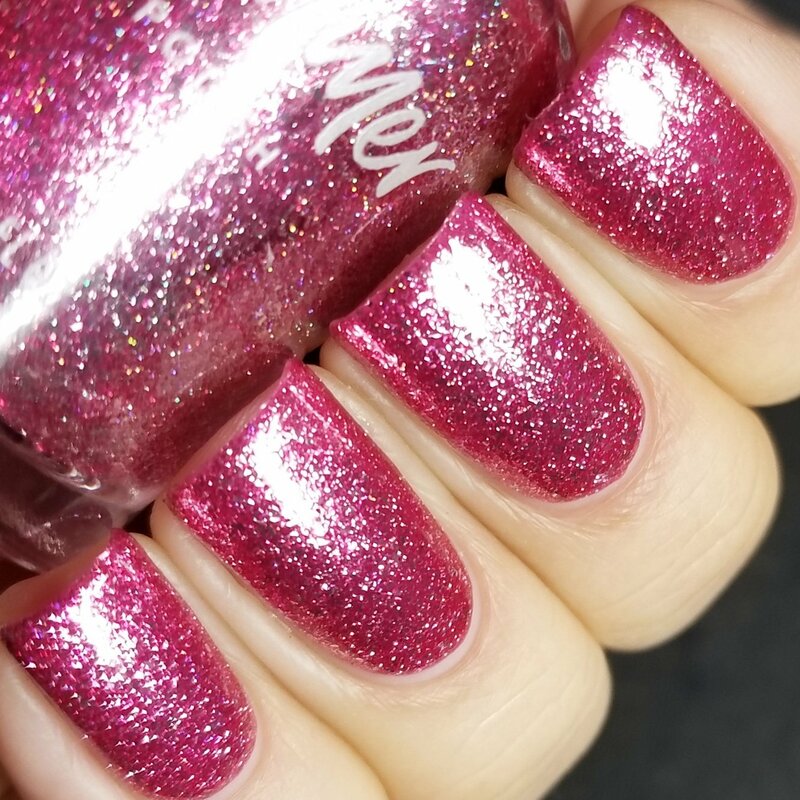 There are several different types of cuticle products on the market, and they all serve different purposes. Here’s an overview of the most common ones to help you find out what each type of cuticle product does, how to use it, and which one might be best for you. Cuticle cream is a treatment product designed to nourish, soften and restore moisture to the cuticle area, often rich in natural plant nut, fruit, essential oils such as avocado oil, apricot oil and wheatgerm oil. Cuticle creams are thick, moisturizing creams meant to be applied liberally to cuticles and nail beds. They can be applied at night or during the day, but nighttime is ideal so that you can apply a thick coat without worrying. Many cuticle creams also contain light exfoliating ingredients that are safe to be left on all day. 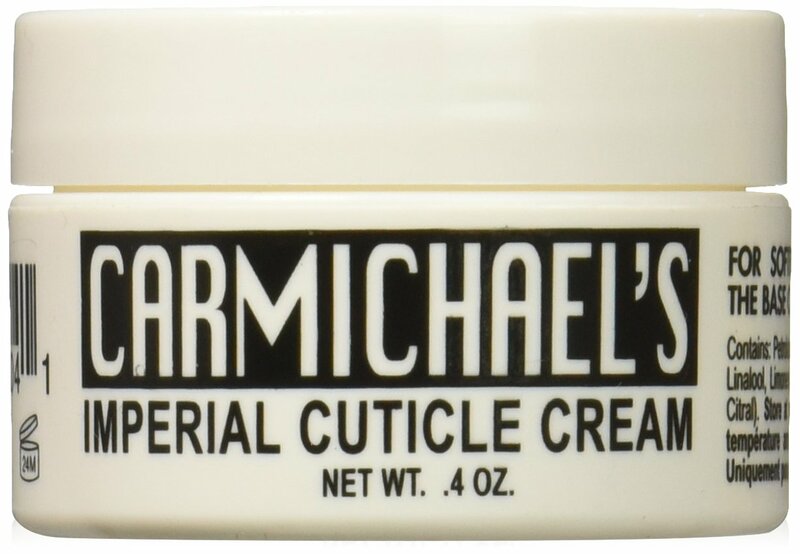 Carmichael’s Imperial Cuticle Cream is a cult favorite (and one of my personal faves). This pale golden cream is a beeswax and petrolatum formula, designed to heal and protect your cuticles and encourage healthy nail growth. Users’ reviews are especially good for this cream. Badger Certified Organic Soothing Shea Butter Cuticle Care contains soothing East African shea butter helps to quench and protect dry, splitting cuticles. Badger uses sophisticated blends of pure steam-distilled essential oils deliver a highly nourishing product with a mild lemony fragrance. This high quality cream balm includes some wonderful ingredients, including geranium flower oil, seabuckthorn extract, mandarin peel extract and ginger root extract. It also has super user reviews. Cuticle oil often comes in a bottle that looks similar to nail polish. You can brush it on after a manicure to seal the surface to help resist smudges, but the main purpose is to moisturize the cuticle skin. According to Sally Hansen nail expert Alison Bowhill-Hayes, cuticle oil is the go-to product if your cuticles are looking a little damaged. So if your cuticles are a bit cracked, dry or broken, it’s probably time you started applying the nourishing oil to your nails. Keep an eye out for vitamin E as an ingredient – it works wonders to help repair any damaged or torn skin and will keep your cuticles soft and supple. Alison recommends applying cuticle oil every night to keep your nails and cuticles nourished and protected against drying out and splitting. Using the product regularly will smooth cuticles and restore them to health. Just remember: persistence and consistency. Apply a few drops to both your nail and cuticle to help soften and hydrate. Massage it into your skin for about a minute to help stimulate the blood supply. 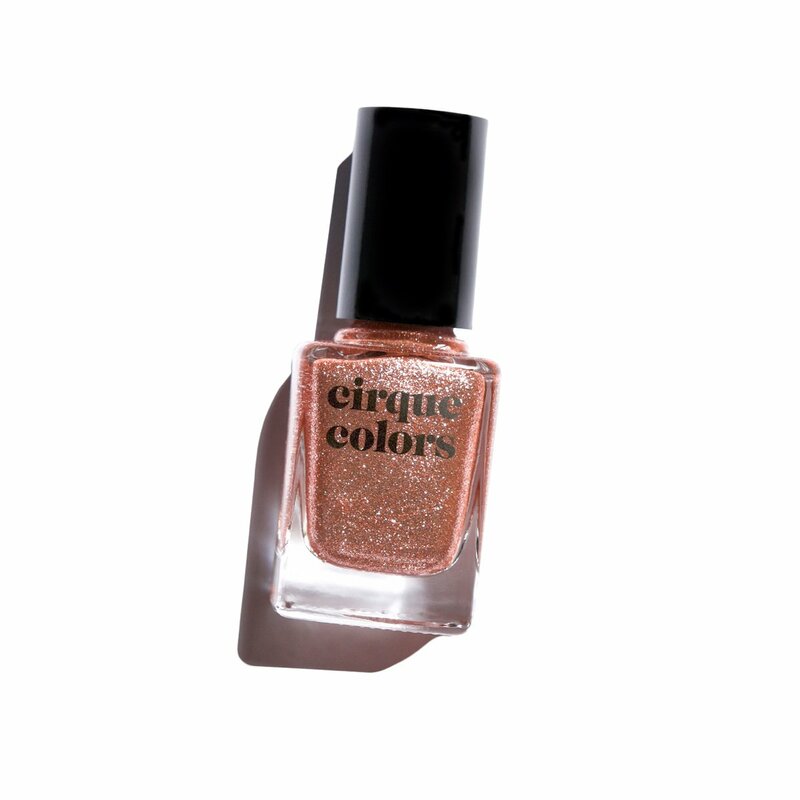 You can expect a good cuticle oil to perk up your nails, smooth dry cuticles, and add a shiny finish to polish that will make everything look instantly better. Cuticle oil should be applied every night before resting, the oil should be applied with either the provided applicator or a cotton ball and should be massaged into the cuticles for a few minutes to allow the oils to sink in and nourish the skin healthily, this is recommended instead of applying it before putting on shoes and doing work which require the use of your hands. 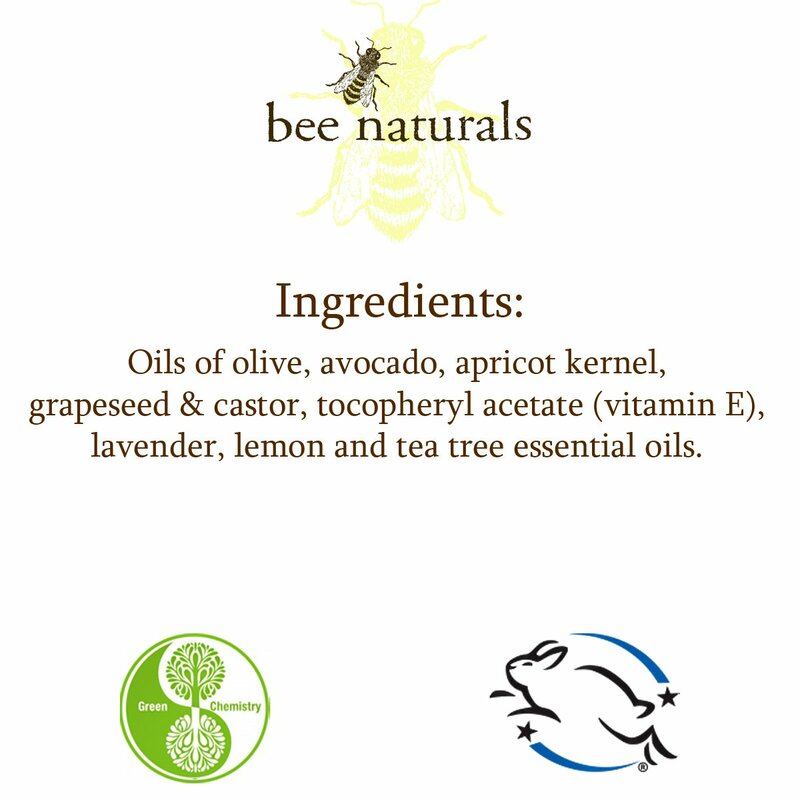 By utilizing the oils at night your skin is allowed to both breathe and nourish itself. 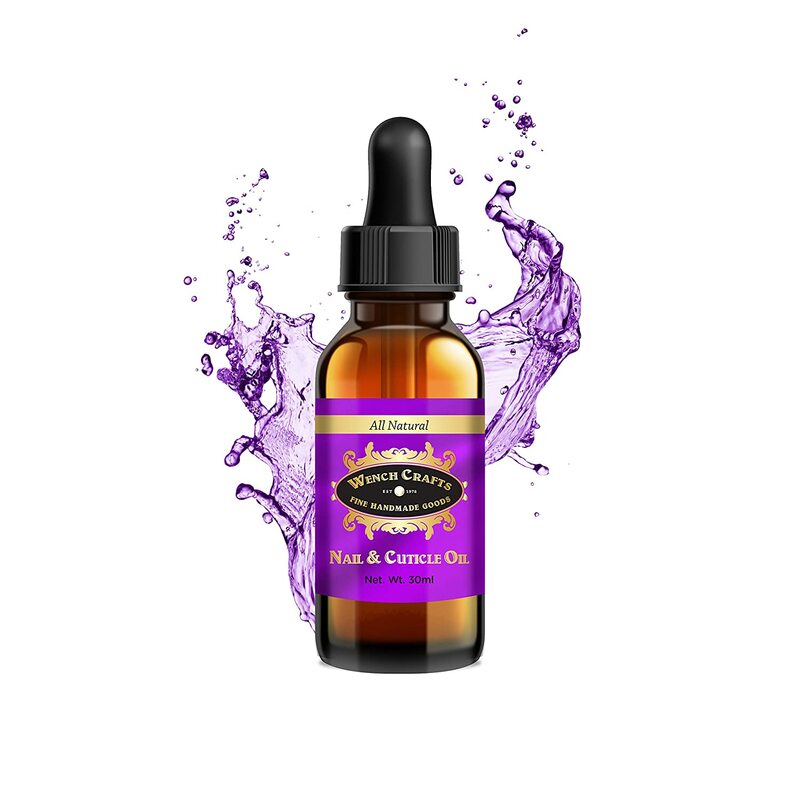 Wench Crafts Fine Handmade goods Nail and Cuticle oil is an all natural product which features an exotic blend of oils that will leave dry and damaged nails hydrated and vibrant. I am impressed with these high quality ingredients, which include grapeseed oil, cranberry oil, pomegranate seed oil, marula oil, baobab oil, organic pumpkin oil, organic jojoba oil,organic sweet orange oil and neroli oil. 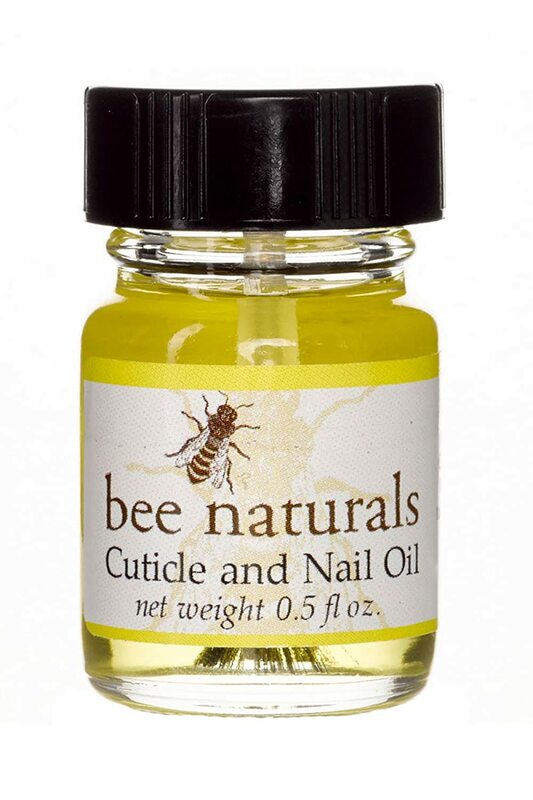 Bee Naturals Cuticle Oil contains a blend of natural oils, as well as vitamin E. I especially like the addition of tea tree essential oil, for its anti-fungal properties. This cuticle oil has a wonderful lavender and lemon scent, making it a pleasure to use. If you have overgrown or thick cuticles, a cuticle remover is a must. Cuticle remover is a product which contains Potassium Hydroxide or something similar, to soften the cuticle (skin) on the nail plate and to help loosen it up. This allows for easier pushing back and cutting of the cuticles and it also prevents tearing and feathering of the cuticles which often results in sore and inflamed cuticles. Follow the instructions on the bottle as these formulas do differ, but here’s the basic idea: Apply a thin ribbon of the cuticle remover (usually in gel form) to cuticles for a minute or two. California Mango’s Cuticle Softener is a fast-working lotion that penetrates to gently remove dead, dry and cracked nail cuticles and prepares the area for further treatments. Users love this product, both for its efficiency and its wonderful mango scent. 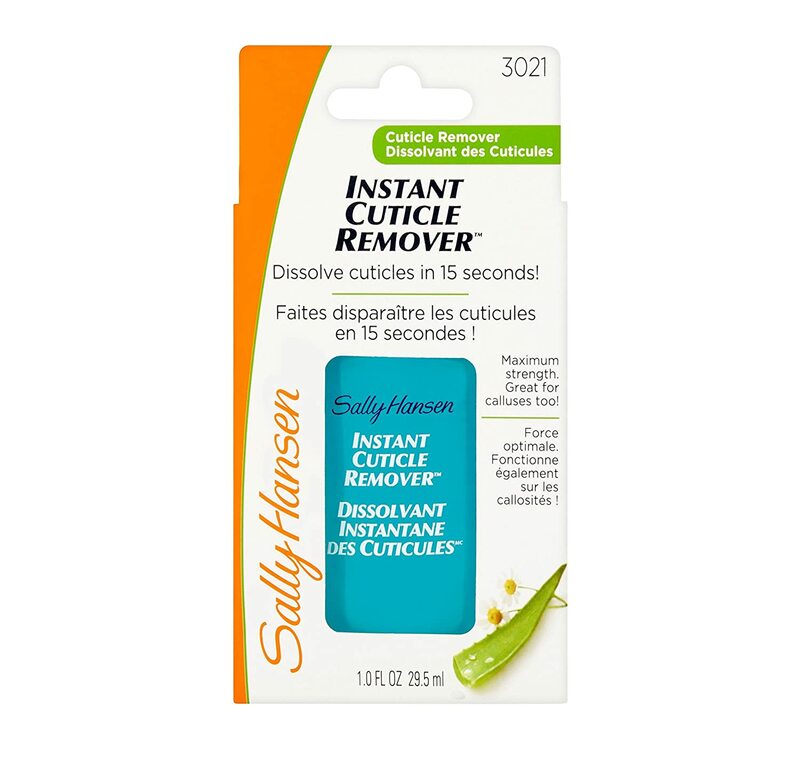 Some ingredients include aloe vera gel, jojoba oil, mango seed extract, natural esters and oils of mango, and vitamin E.
Sally Hansen’s Instant Cuticle Remover is a popular maximum strength gel formula, which can also be used on calluses. This is a good choice if your cuticles are thick and growing up the nail. This instant cuticle remover gel works fast to dissolve cuticles in about 15 seconds, and the reviews are excellent for this budget-friendly option. It also contains aloe and chamomile to condition and soothe. Cuccio Naturals offers this Apple Cuticle Remover with Apple Alpha Hydroxy Fruit Acid. This is a high quality product, enriched with malic acid, alpha hydroxy acids, aloe vera and almond oil, among other nourishing extracts and oils. 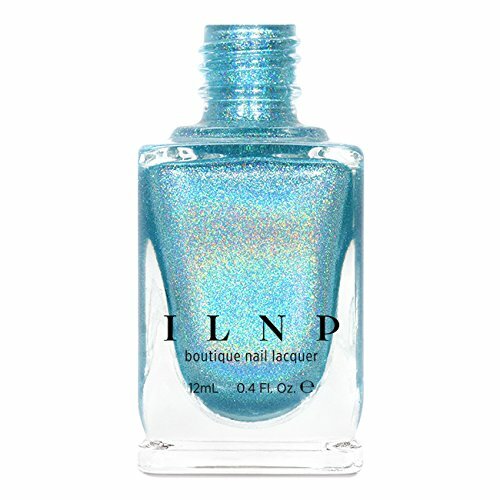 I like that it uses natural acids and enzymes to eliminate the thickened dead skin cells around the nail bed. This product does a good job at both exfoliating and moisturizing the cuticle. Reviewers are very happy with this gel. 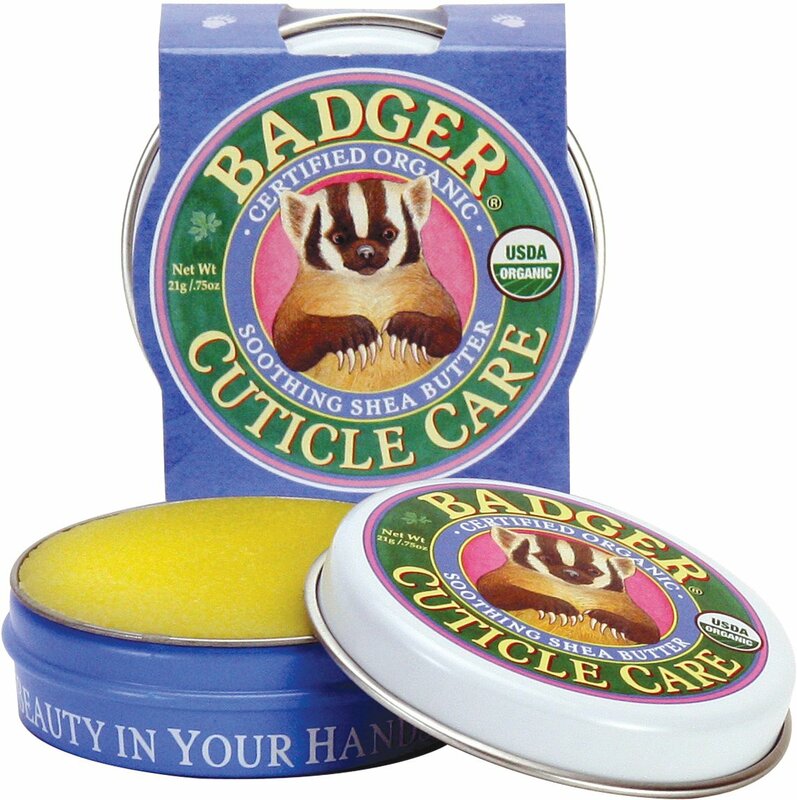 Cuticle sticks and cuticle pushers are an inexpensive and easy way to push back your cuticles. I like these emery tipped cuticle sticks. The regular ends pushes back and refines your cuticles, and the other end is emery tipped with grit to remove unsightly leftover skin particles other shapers and buffers simply can’t reach. It’s a great 2-in-1 tool to have in your manicure supplies. Cuticle nippers should only be used to nip hangnails. Despite their confusing name, hangnails are torn pieces of skin often caused by a dry, brittle cuticle area. 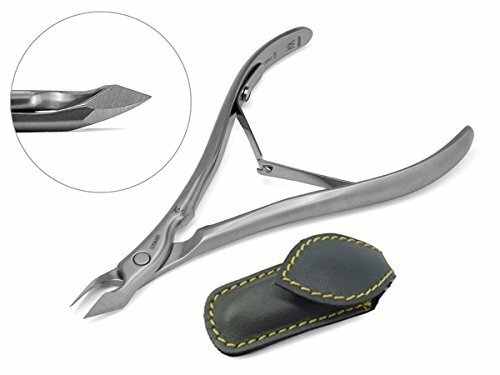 Make sure you use a high quality stainless steel nippers; if they are not sharp, high quality blades, you’ll run the risk of cutting your skin by pushing down too hard. I am a fan of these Finox Stainless Steel Cuticle Nippers. 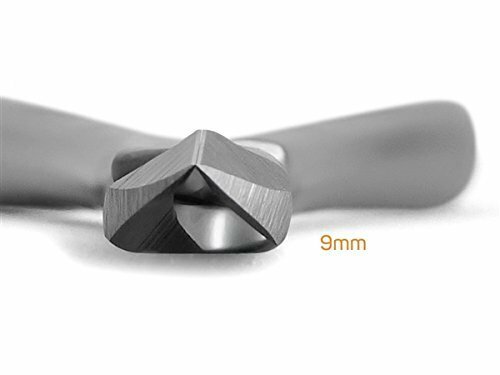 They are extremely sharp, and they’ll stay that way (they’re guaranteed for a lifetime of use!). These nippers are handmade in Germany, of high carbon stainless steel. They are a little more expensive than some other nippers, but they really are superior product, and the only cuticle nippers you’ll ever have to buy. Now that you know all of the basic cuticle care products and tools, don’t forget to use them. It’s a good idea to make a daily habit of applying a moisturizing cuticle cream or oil. You can also save pushing back or cutting cuticles for when you change your polish (every 1-2 weeks). If for any reason you wind up with a cut or raw skin, you’ve simply removed too much and should err on the side of caution next time. Wash your hands with antibacterial soap and apply a little antibacterial ointment to the area in the meantime as it heals. I hope this article provided you some practical information on keeping your cuticles looking great.